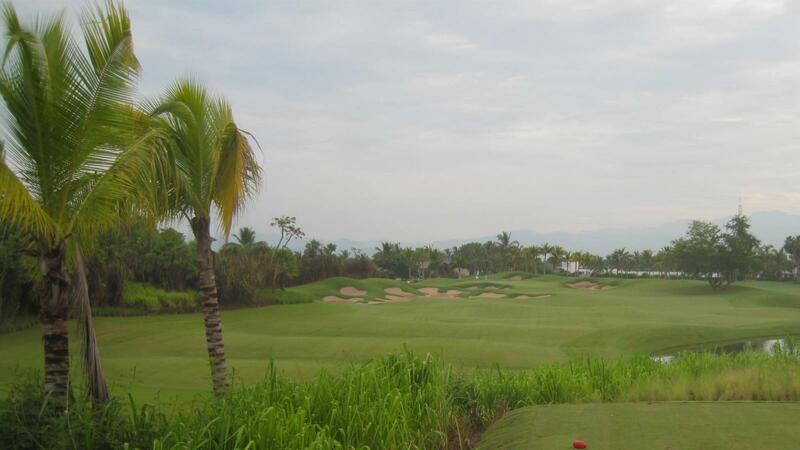 Located on the spectacular beaches of Nuevo Vallarta, surrounded by lush jungle and featuring panoramic views of the Sierra Madre mountain range and Banderas Bay on the Pacific Ocean, this par 70, nearly 7,000 yard course is a natural and technical masterpiece. The course features optimal conditions to fit every player, from your low to high handicap. Recently redesigned by the game’s greatest, this fully-equipped Nicklaus Design golf course is challenging because of the constant, strong crosswinds coming off of the ocean. Spotting iguanas is part of the fun while you keep an eye on the crocodiles sunning in the neighboring sanctuary. Located just 15 minutes away from Puerto Vallarta International Airport. The accommodation at the Nayar Golf Course, The Grand Luxxe, has just received the 2014 AAA Five Diamond Award, the highest award AAA gives. It is also the only hotel in the world in the "Members Only" resort category to receive it. Status and Luxury at the Grand Luxxe. Book now for the Holidays.